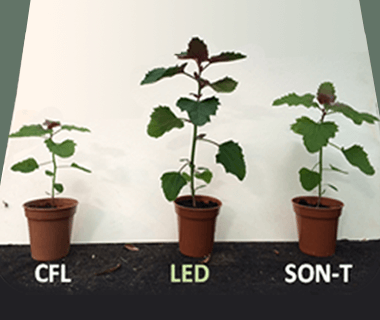 PhytoLux Attis-7 compared with 400W SON-T and 200W CFL, on 16 hours per day. Tomatoes, Chenopodium Amaranti Color, Dwarf French Bean, Chenopodium Quinoa, January King Cabbage and Jubilee Maize. Growth was more vigorous, plants were stockier with darker and more well developed leaves than their counterparts under SON-T and fluorescent lamps. In response to the excellent trial results the University of Bristol fully replaced their SON-T lights with PhytoLux Attis-7 LED units in July 2015. The rooftop Grodome in the new Life Sciences Building, opened by David Attenborough in 2014, was equipped with high pressure sodium SON-T lamps for plant growth purposes. Chris Jones, Sustainability Manager (Energy) at the university, and Tom Pitman, Greenhouse Manager, recognised that these lights use a high level of energy and that there may be an opportunity to reduce energy consumption and costs by changing to modern LED plant growth lighting. 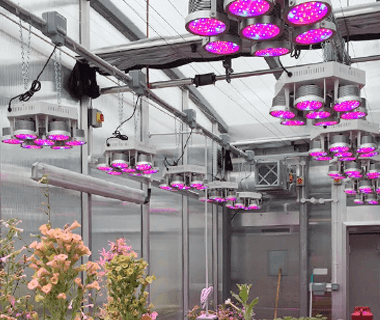 They were aware of the work that PhytoLux had been doing with Rothamsted Research and other universities, so approached us in August 2014 to arrange for a trial to be implemented which would allow them to understand the effect of LED lighting on plant growth, as well as how much the energy used to grow the plants could actually be reduced by. Rooftop Grodome – Life Sciences Building. 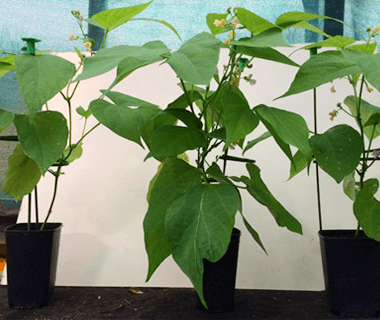 The unit provides plants for research and student learning under strictly controlled conditions. Chris Jones, Sustainability Manager (Energy) and Tom Pitman, Greenhouse Manager, decided to investigate the potential energy save of LED lighting. 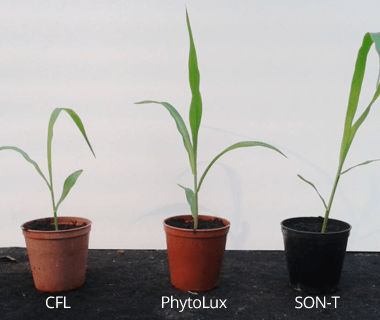 A comparison trial was set up in September 2014 using the PhytoLux Attis-7, to measure the effect on the quality of the plants grown at the facility when compared to the traditional SON-T plant growth lights that were already installed in the Grodome. They would also use compact fluorescent lamps as a low energy alternative control to the LEDs. They planned to measure the energy used by the different types of lighting, for which they set a success criteria of 60% reduction against HPS by using the Attis-7. 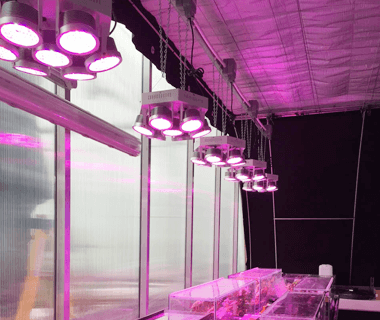 The PhytoLux lights performed very well during the trial, with growth being more vigorous and plants stockier and darker than their counterparts under SON-T and fluorescent lamps. (Some example photographs that show the excellent results achieved can be seen below). As a result of the trial, the predicted energy save per year of changing to LED lighting is 71%, well in excess of the 60% target set by Chris and Tom. The predicted carbon saving is 44 tonnes per year. 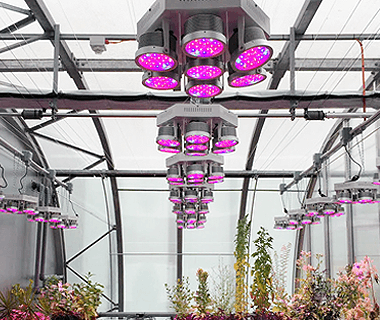 The payback on the investment is 2½ years on energy alone; PhytoLux’s Attis-7 LED lights require minimal maintenance and have a low heat output, meaning additional savings will be made on maintenance costs and substantial savings on air-conditioning. The saving on lamp replacement is expected to be more than £3k over the payback period.